A few Sundays ago, I made my first jam. 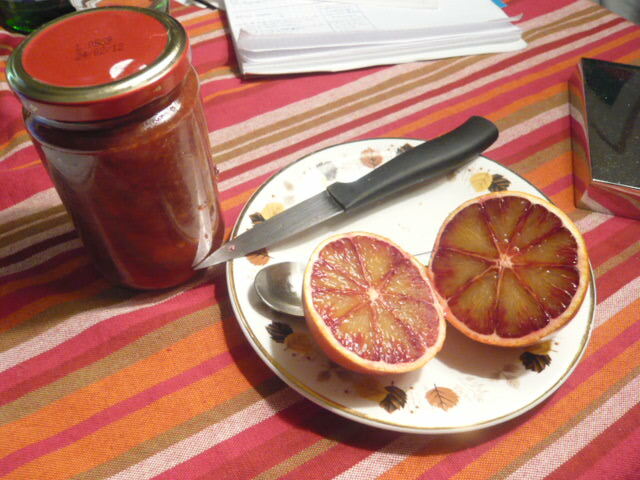 Orange marmalade to be precise, from untreated Sicilian blood oranges. It took me a few hours, and I had to wash the kitchen floor and myself afterwards because everything got a bit sticky, but I did it. That evening I was sitting on my couch just looking at those glorious five jam jars with their orange-red filling. Proud as if I’d laid an egg.